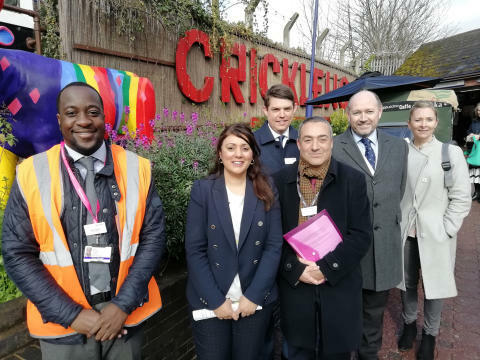 Govia Thameslink Railway (GTR) has welcomed the announcement that seven stations will receive funding to make them step-free and accessible to all its passengers. A further four stations where earlier bids for funding were initially deferred have now been given the green light. 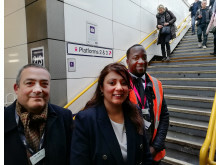 GTR put forward a number of stations for step-free funding in the most recent bidding round, working with local communities to support its bids. GTR’s Head of Programme Delivery Andrew Sidgwick said: “We are delighted these stations have been selected for funding. We work very hard to make our services accessible to everyone and the projects will make an enormous difference to our passengers. We will immediately begin supporting Network Rail as it develops each scheme. “In addition to these significant upgrades, we intend to use £20 million of the funding to re-launch the Mid-Tier Access for All programme. This will be focused on stations where accessibility improvements can be delivered with between £250,000 and £1 million of government support.” GTR will consider this along with other sources of funding for some of the stations that have not been successful.